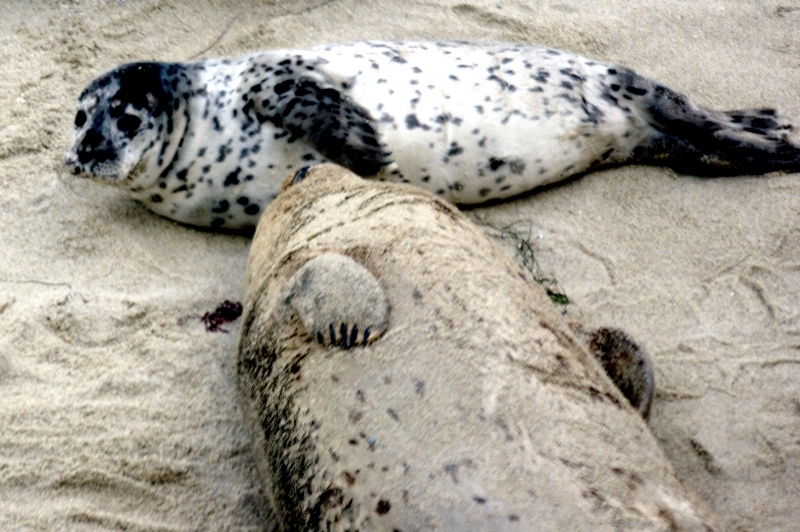 Spotted Seals vary in size among their different populations. 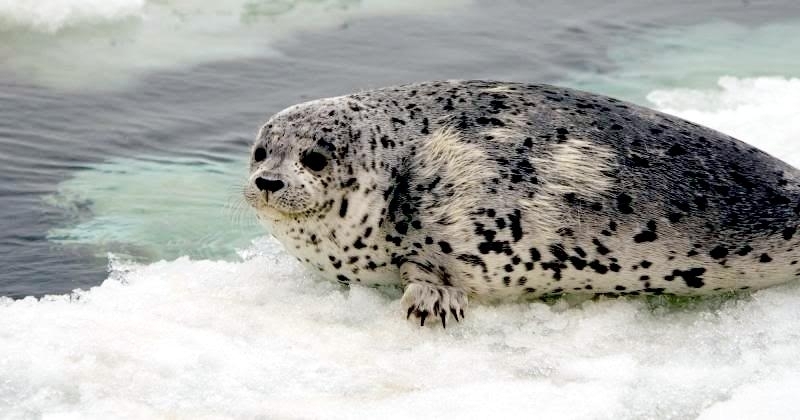 On average, adult males measure 1.5-2.1 meters in length and weigh 85-150 kilograms and adult females measure 1.4-1.7 meters in length and weigh 65-115 kilograms. 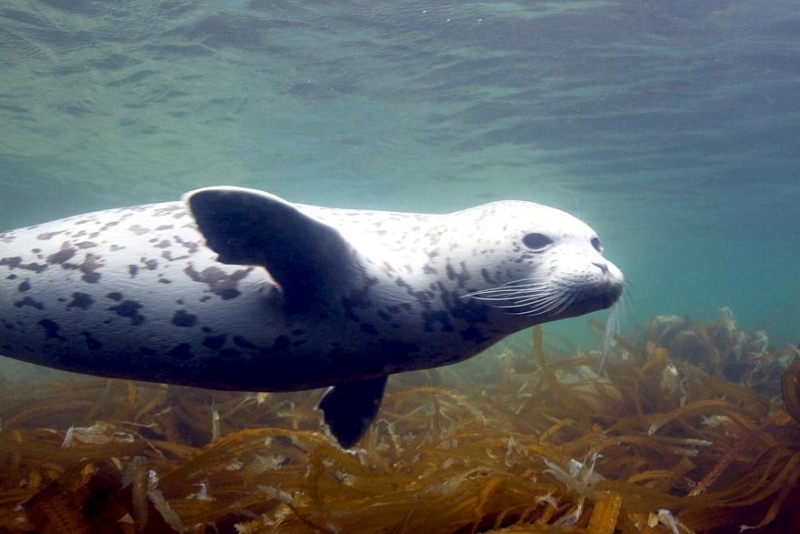 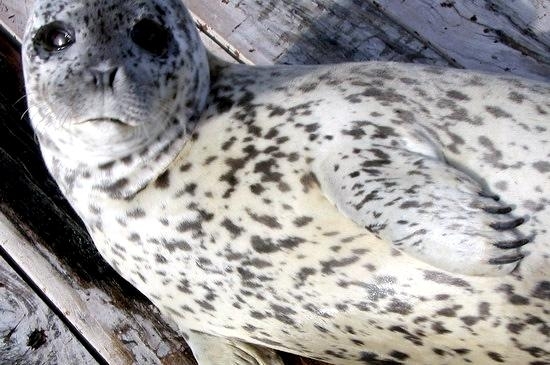 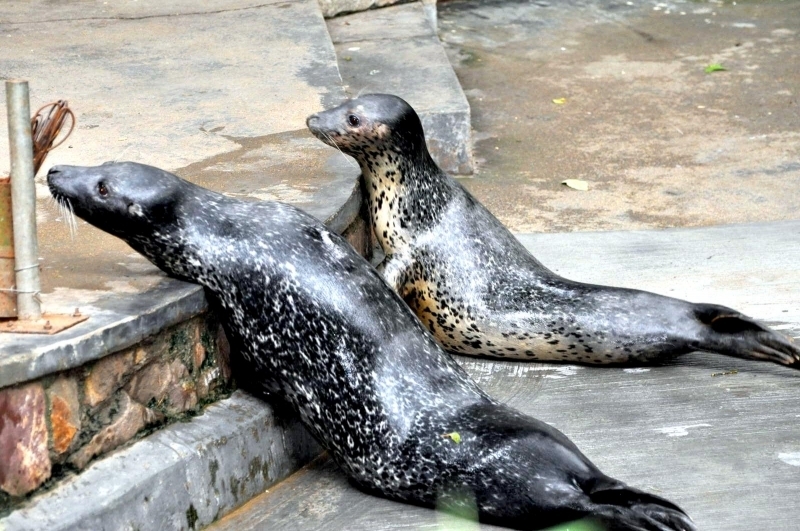 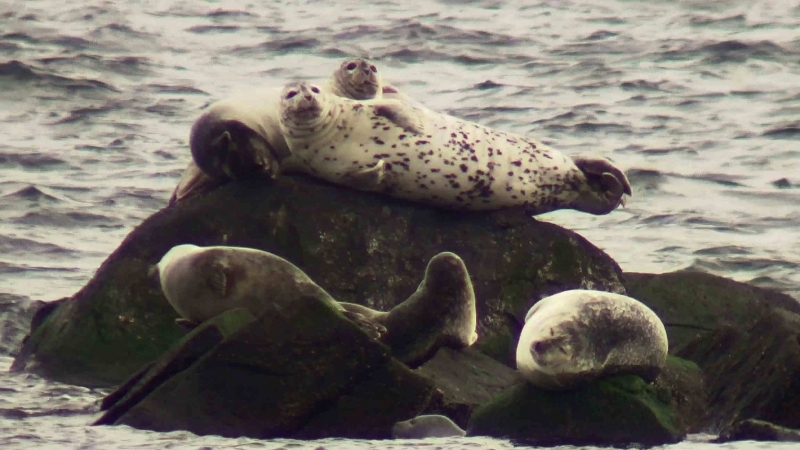 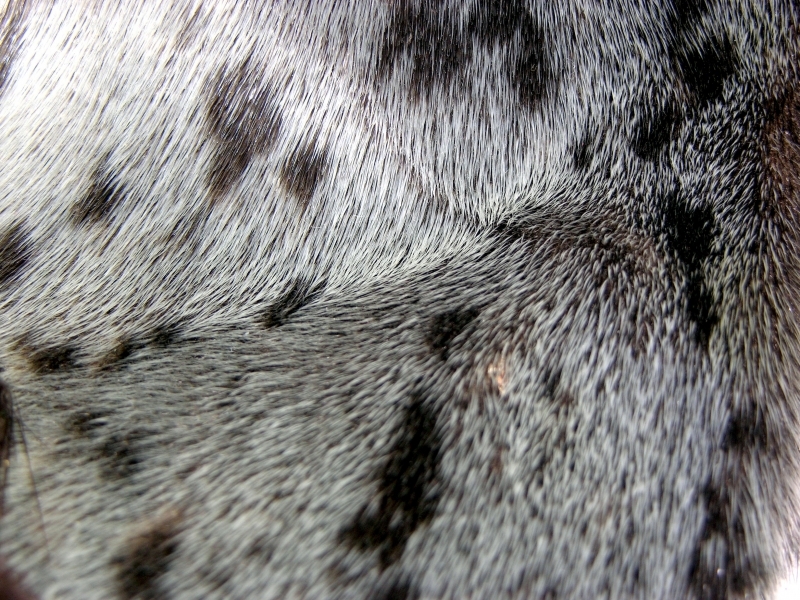 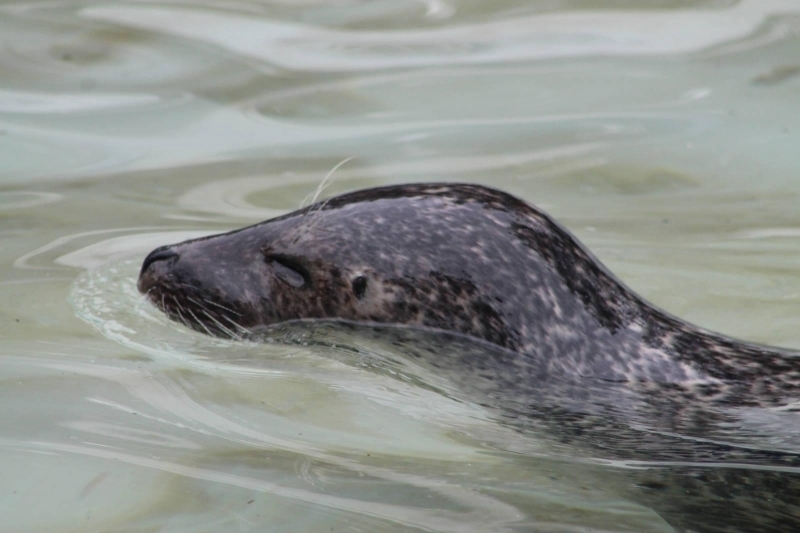 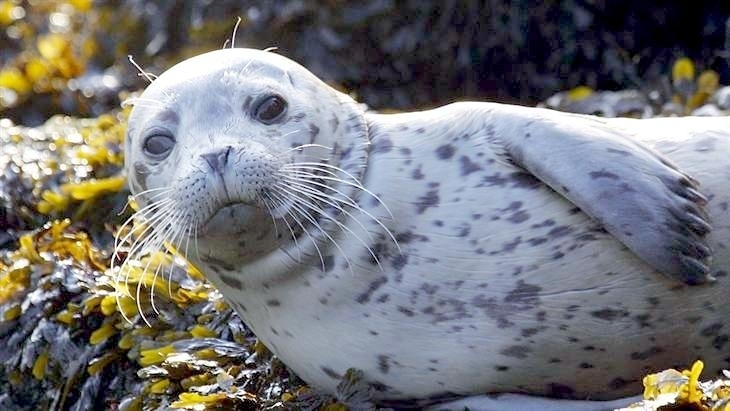 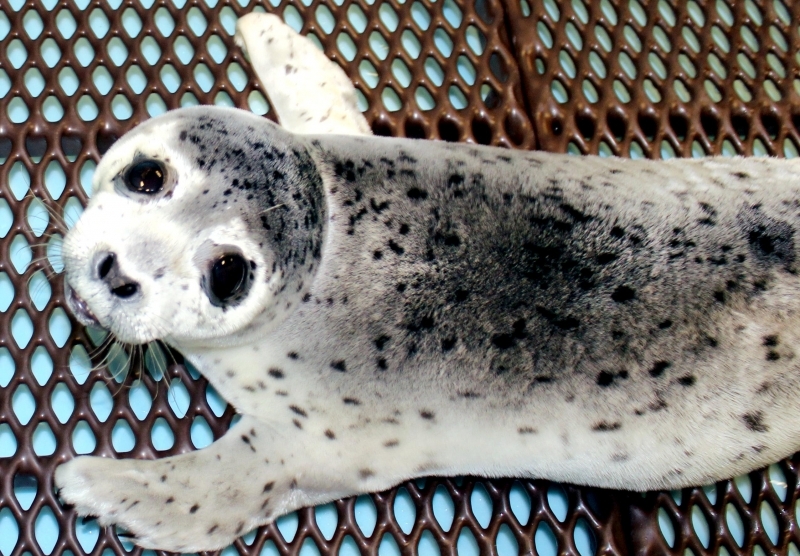 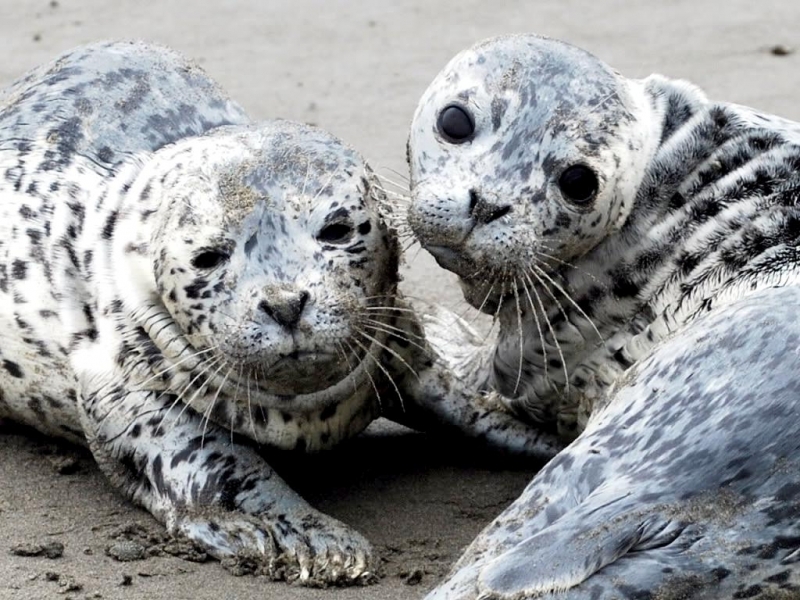 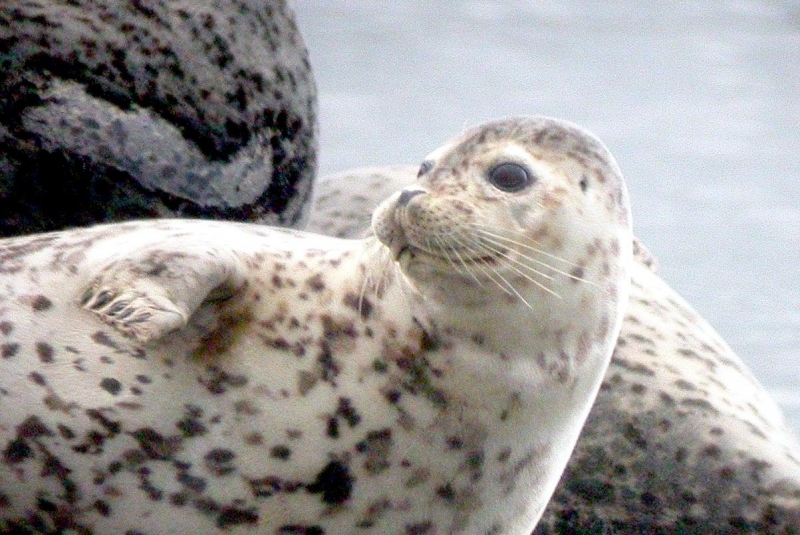 There is also variation in the coloring of adult coats, but generally Spotted Seals are silvery-gray on their ventral (under) sides and darker gray on their backs with dark spotted patterns. 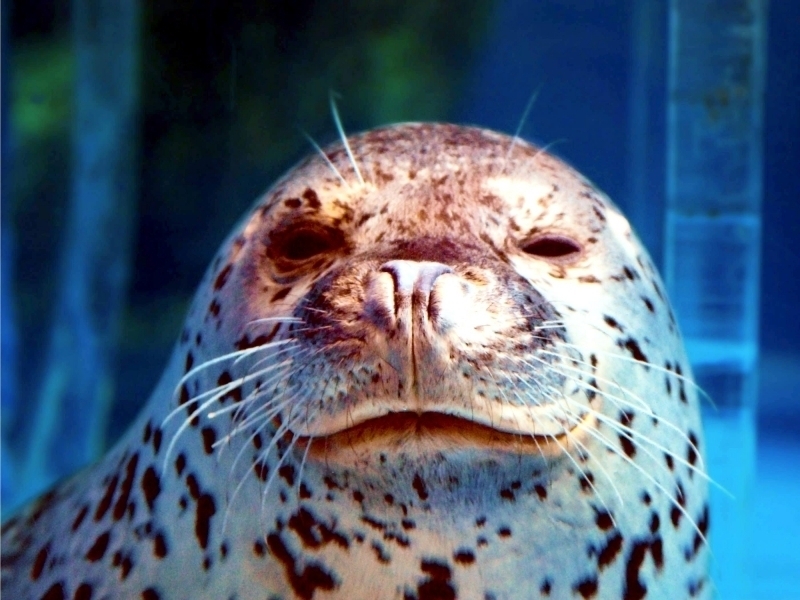 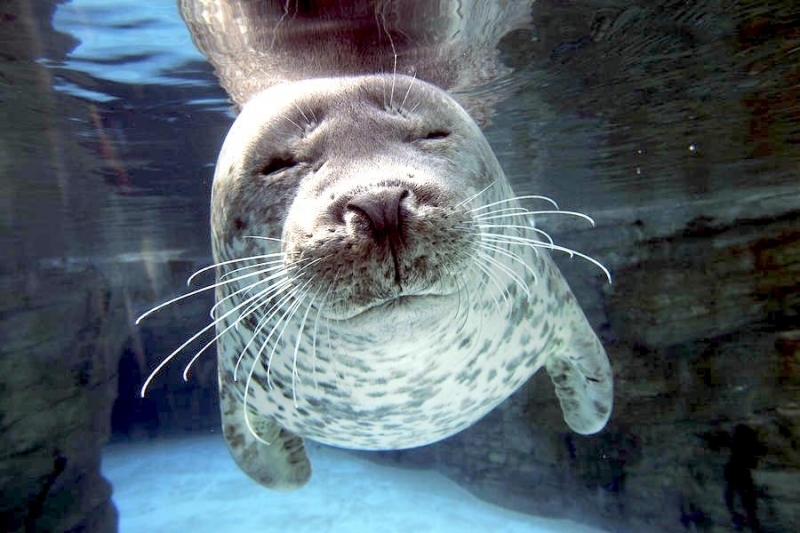 Spotted Seals can live to at least 35 years of age. 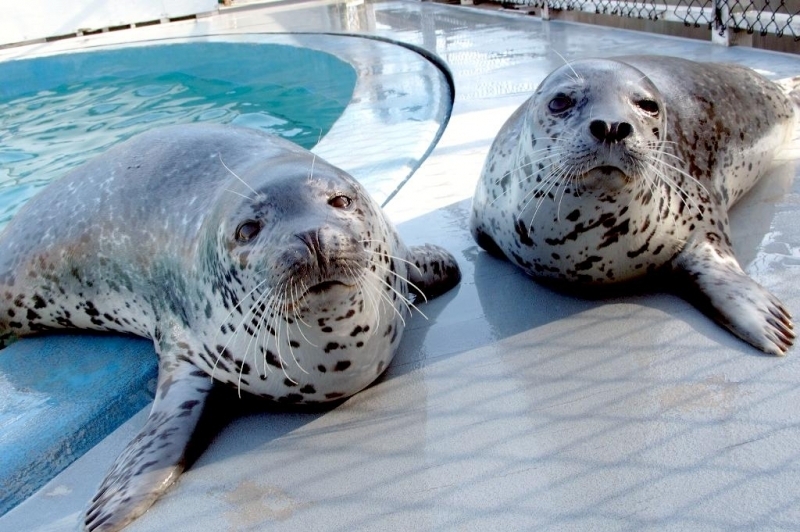 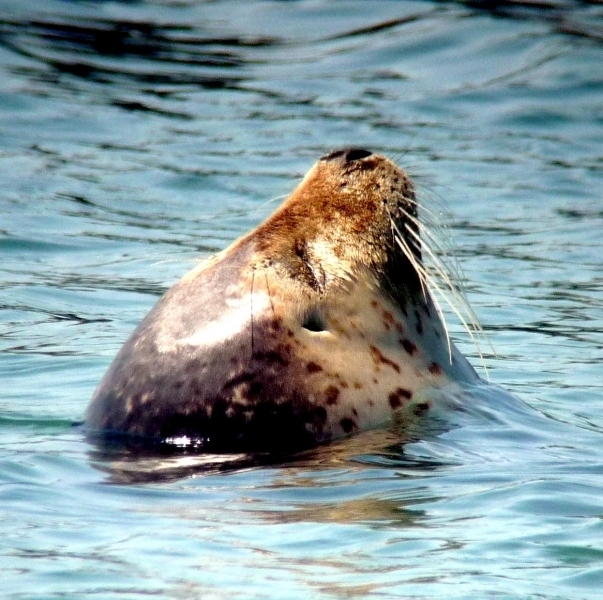 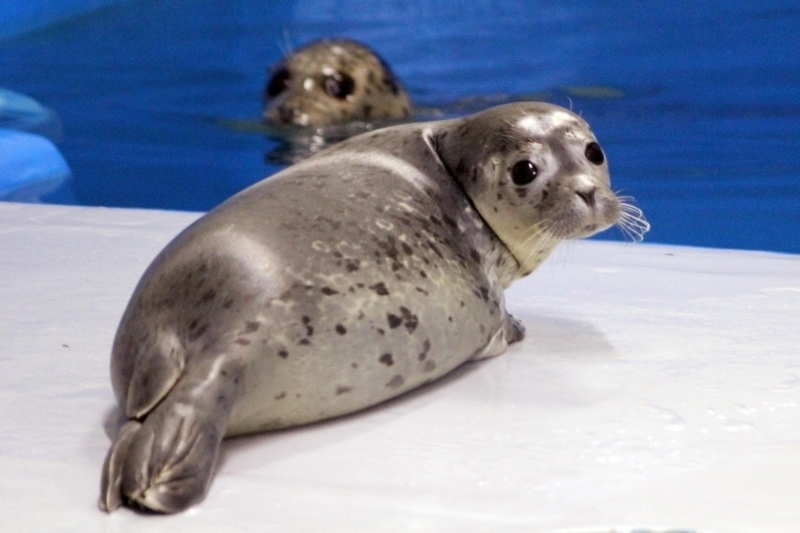 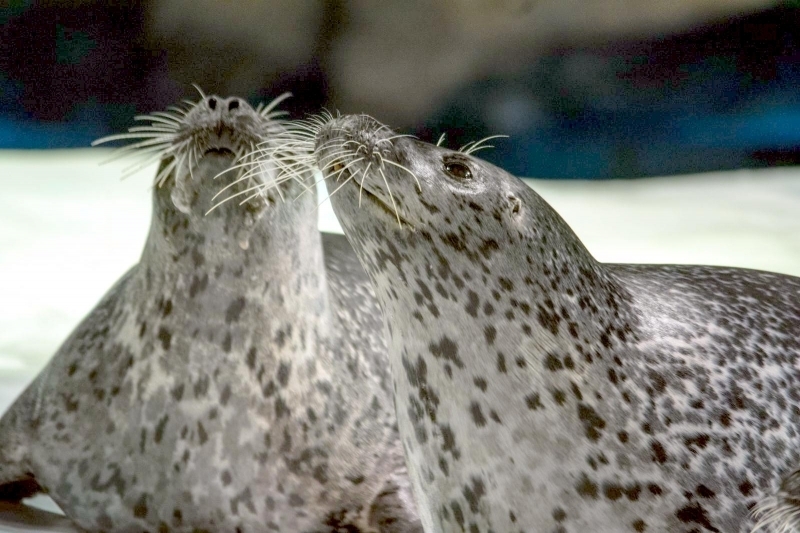 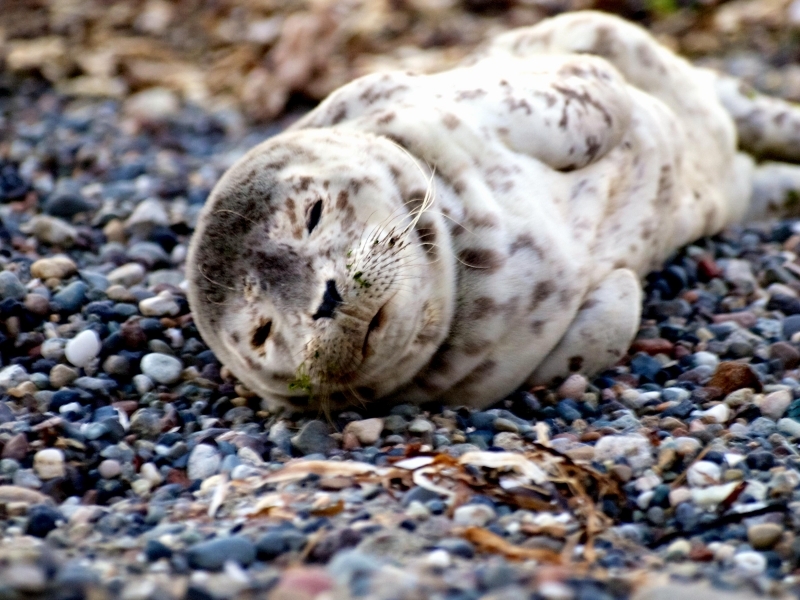 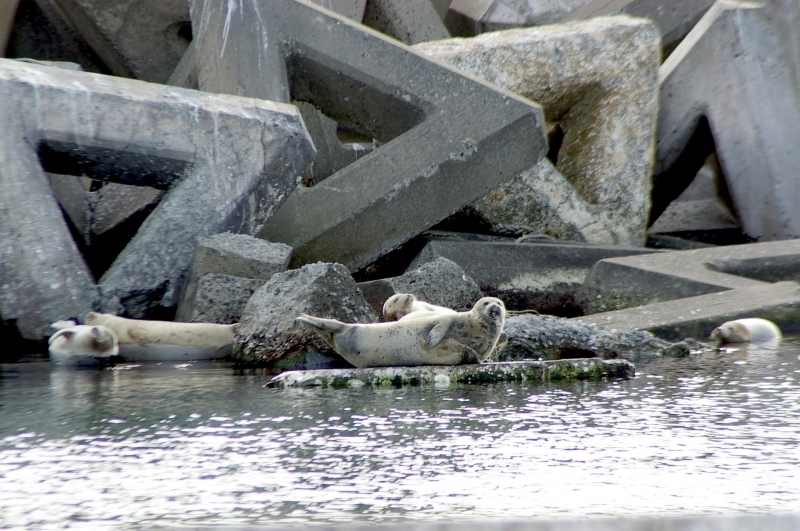 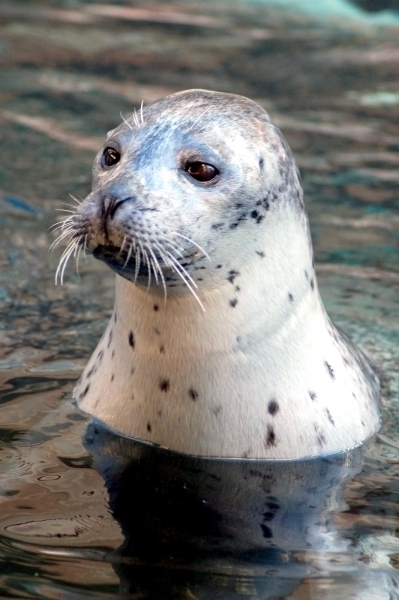 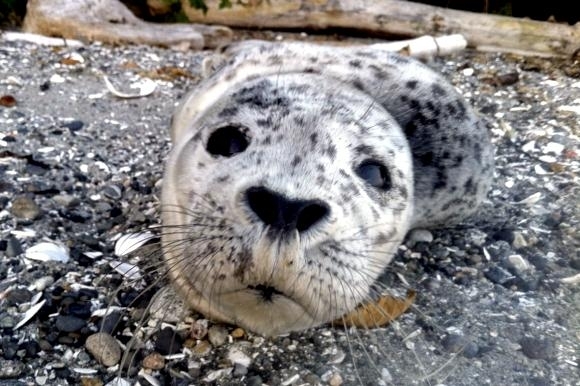 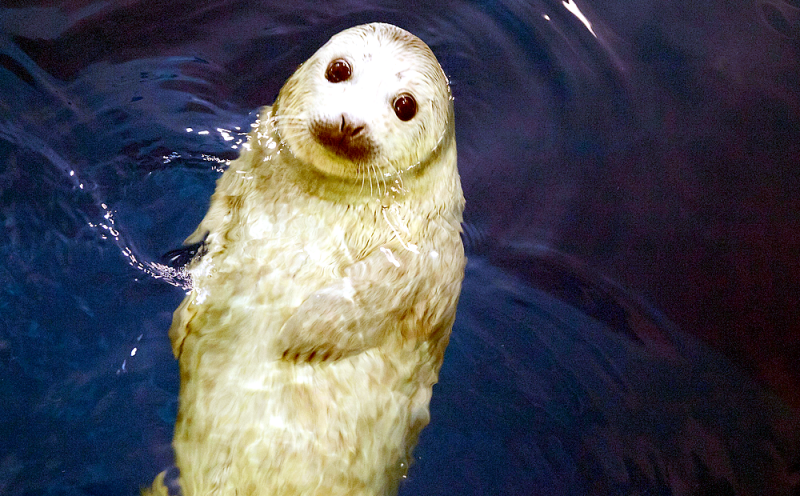 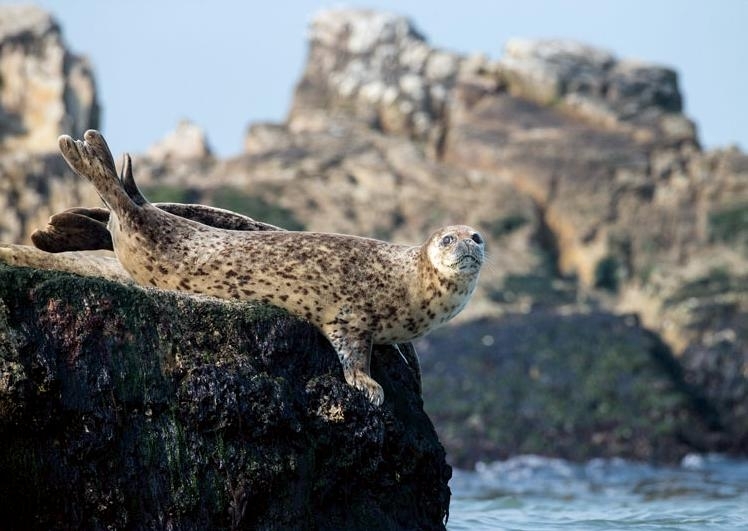 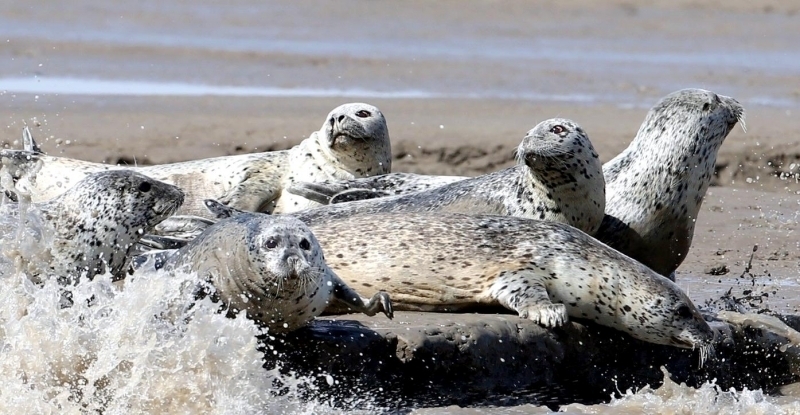 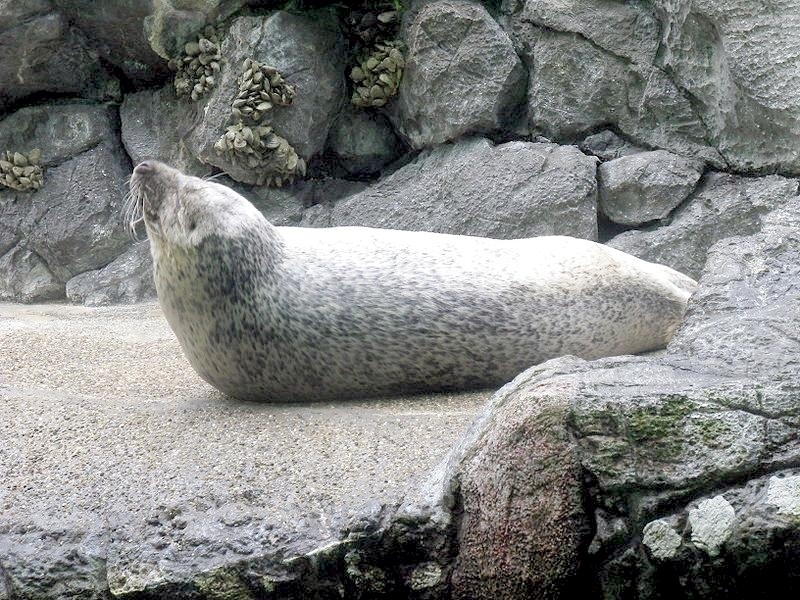 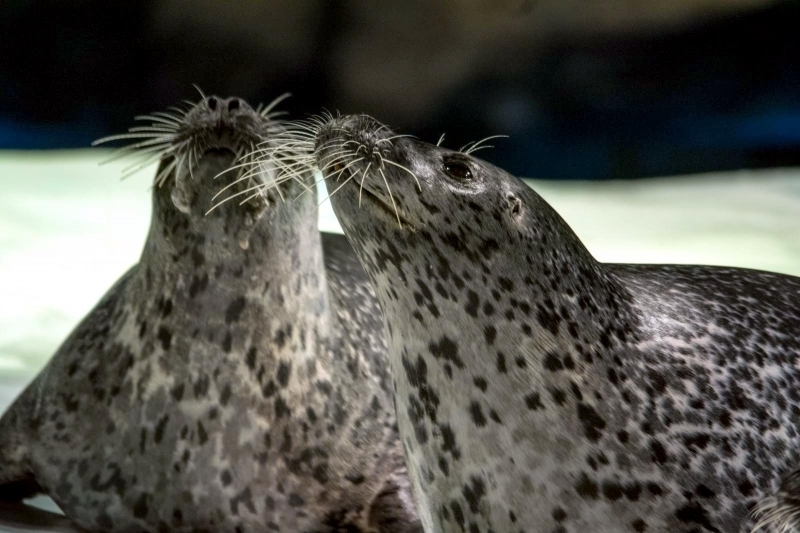 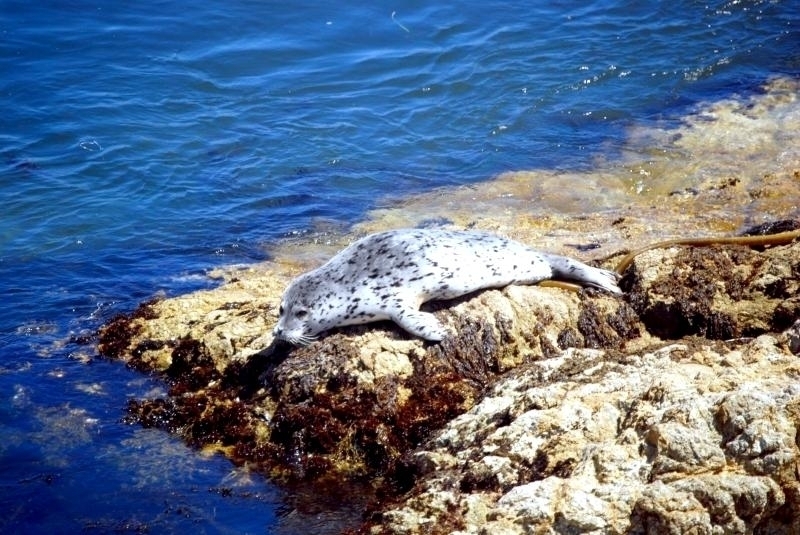 They are closely related to Harbor Seals and often shares the same habitat. 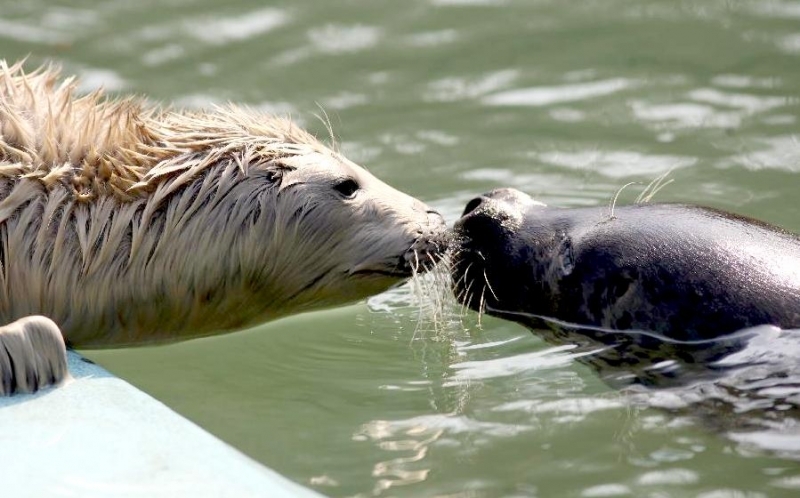 There is also some evidence of inter-breeding between these 2 species. 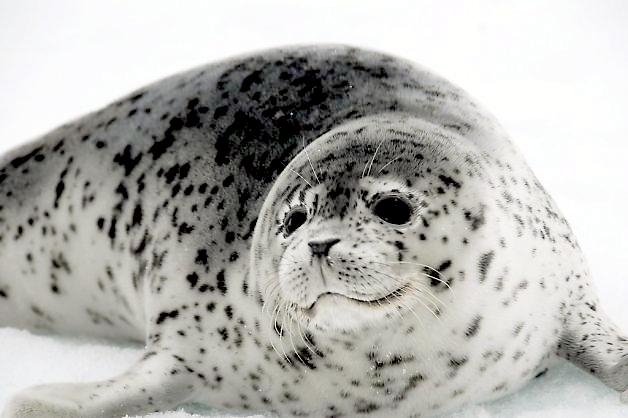 Spotted Seals are found around the ice and waters of the north Pacific Ocean and adjacent seas including the continental shelf of the Beaufort, Chukchi, Bering and Okhotsk Seas and south to the northern Huanghai Sea and western Sea of Japan. 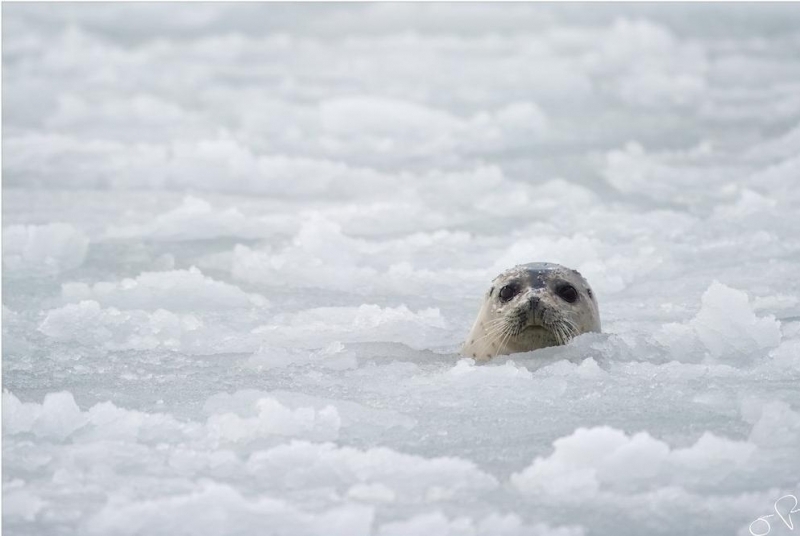 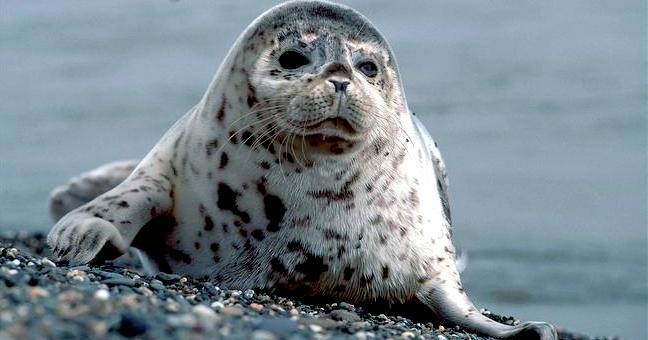 Recent population data is unavailable and estimates from the 1970’s of 335,000-450,000 Spotted Seals are likely inflated. 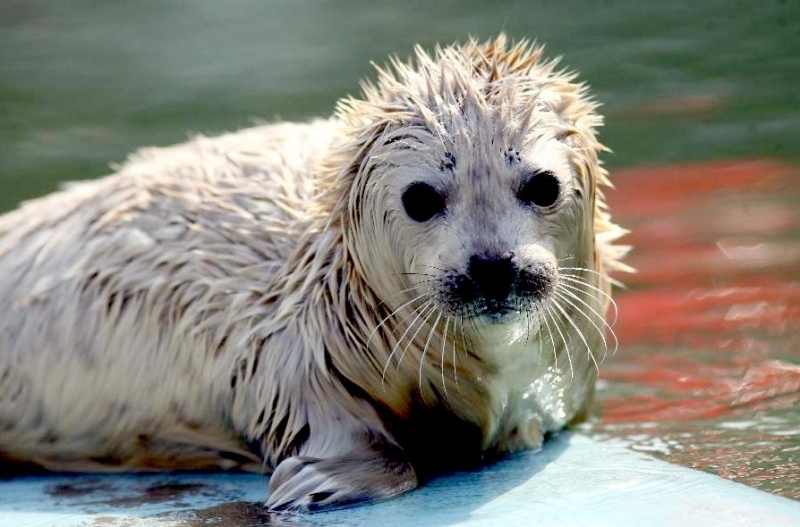 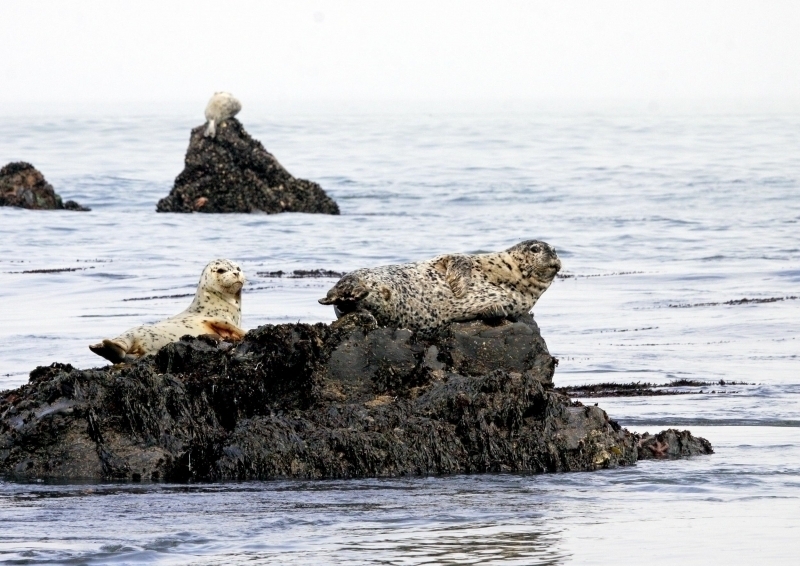 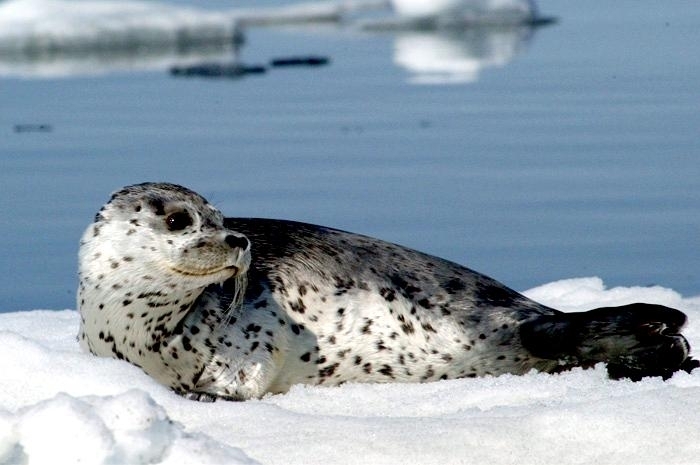 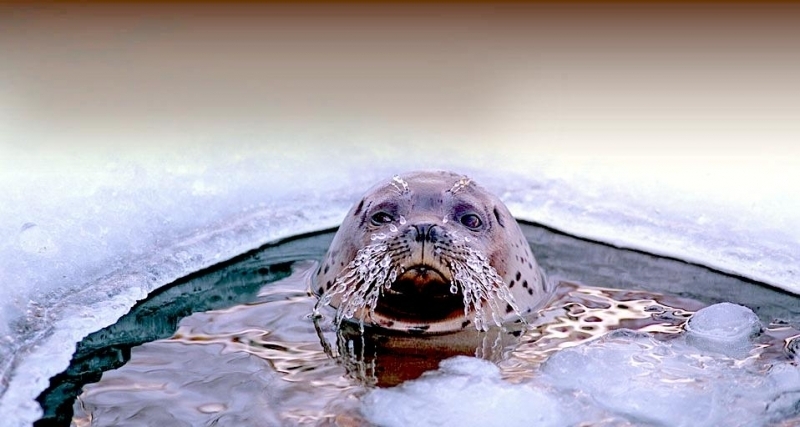 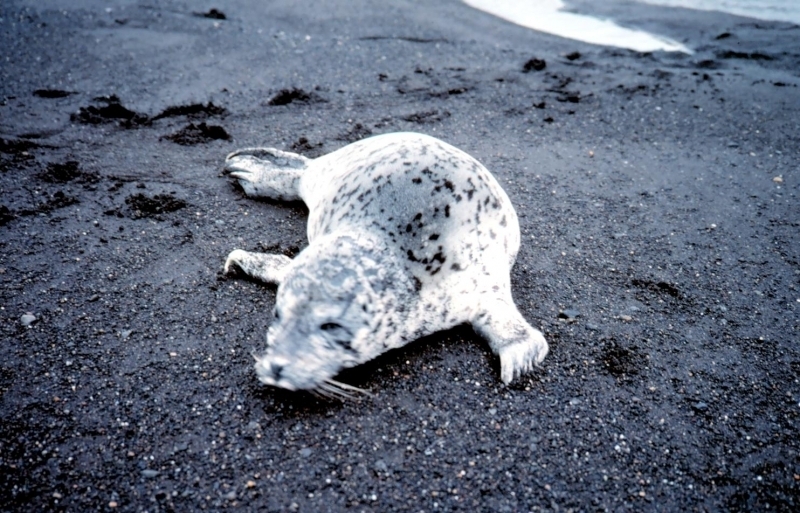 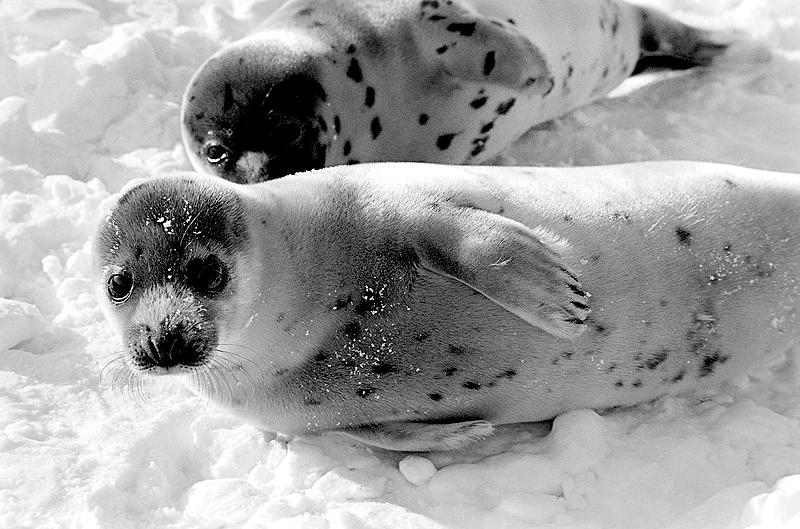 A more recent survey of the Okhotsk Sea in 1986 and 1987 estimated 50,000 seals. 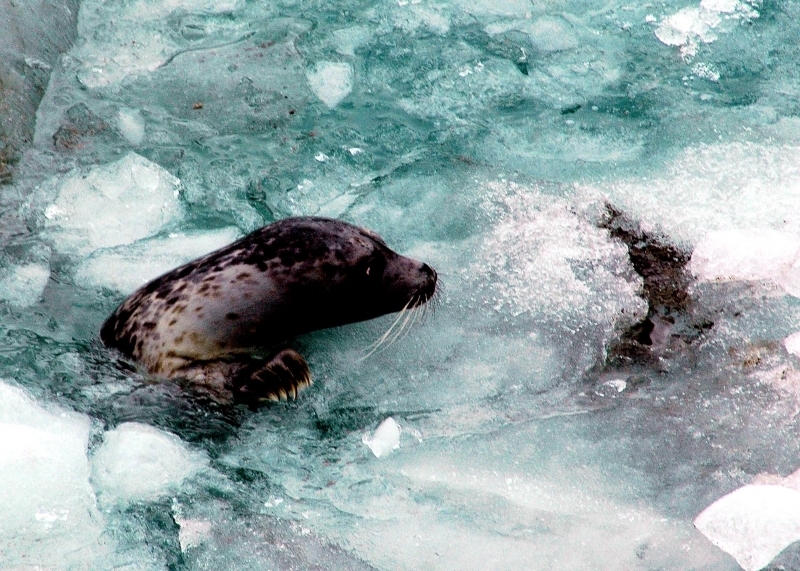 Spotted Seals gather to molt in late spring-early summer among the ice remnants or on land when as the ice retreats. 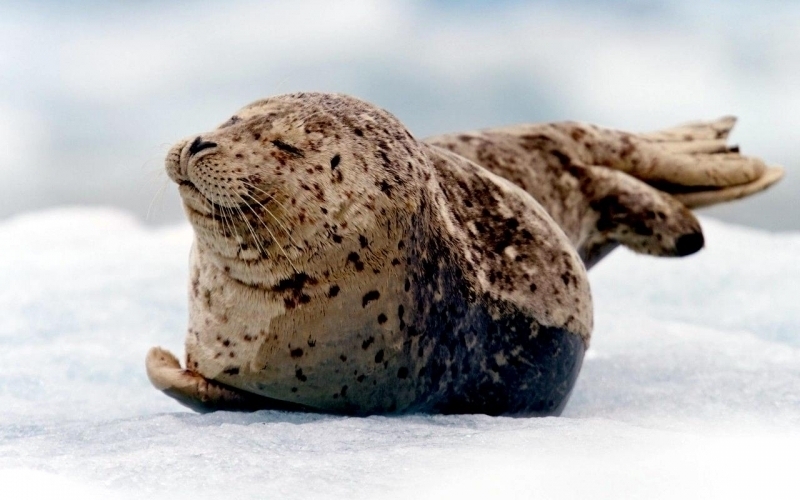 Following molting, Spotted Seals in the Okhotsk Sea and Bering Sea disperse, some migrate north to the Beaufort Sea & Chukchi Sea, others to the south & east. 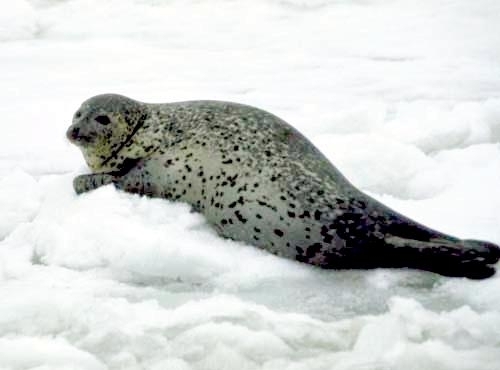 Little data exist on the distribution & movements of Spotted Seals during the colder months although it is likely though that they remain in the water during the winter. 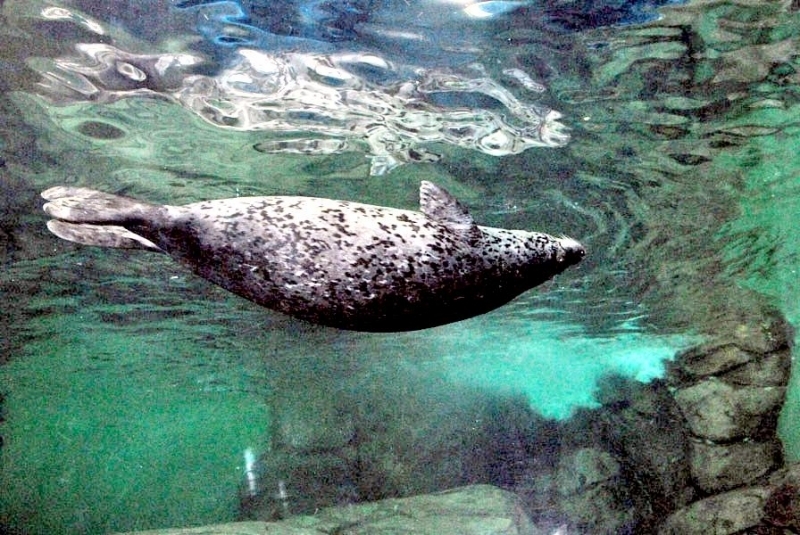 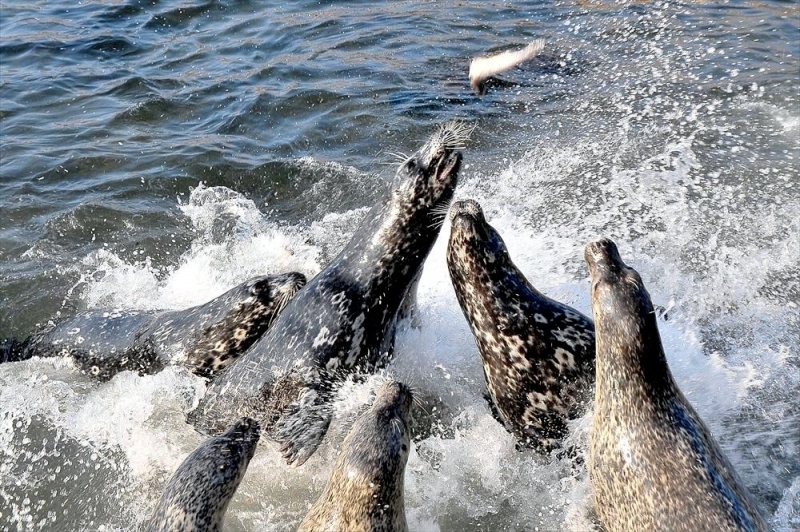 Spotted Seals feed on a wide variety of food sources including crustaceans, cephalopods and fishes. 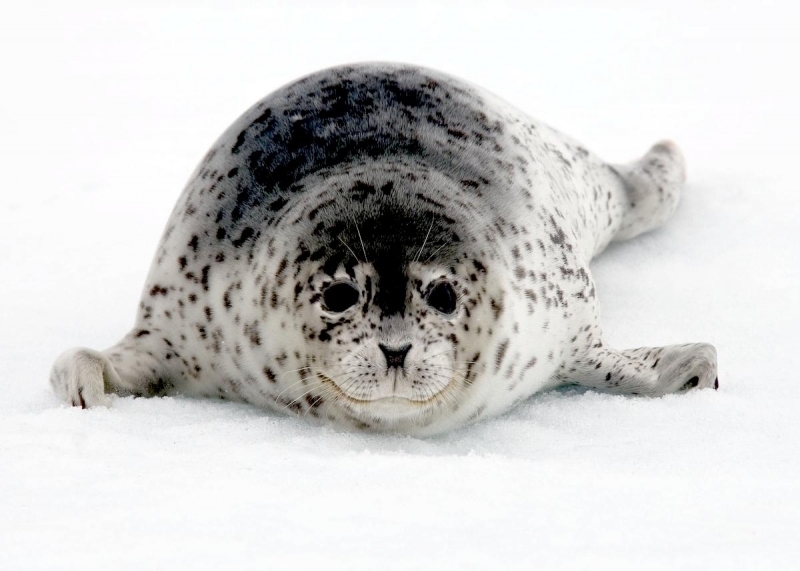 The diet varies by age, by region and by season. 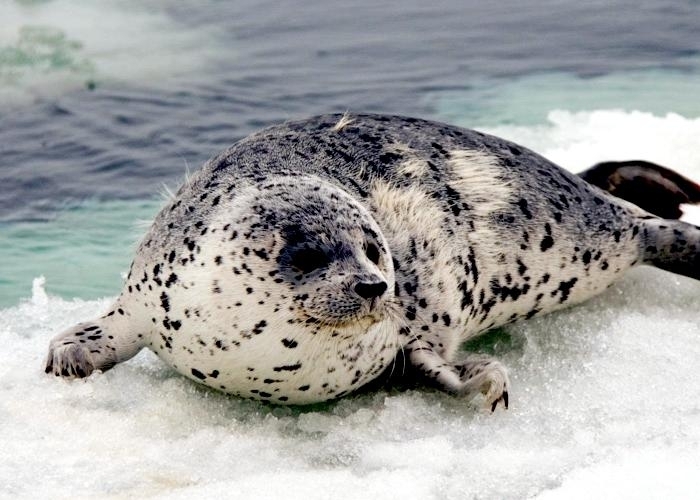 Known predators are sharks, Killer Whales, Walruses, Northern Sea Lions, Polar Bears, Brown Bears, Wolves, Foxes and some large seabirds. 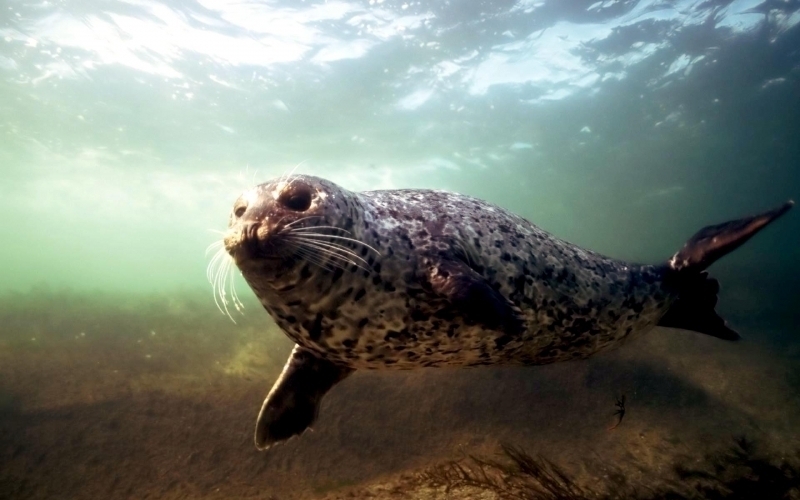 Adult Spotted Seals can dive to depths of over 300 meters. 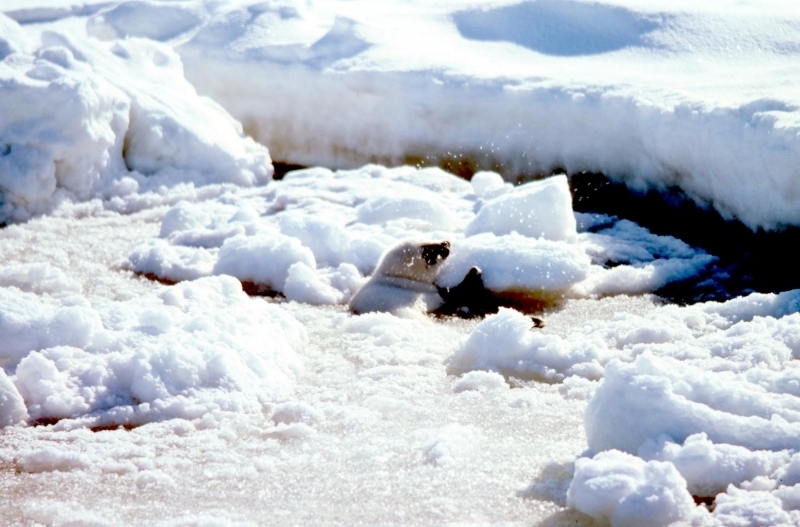 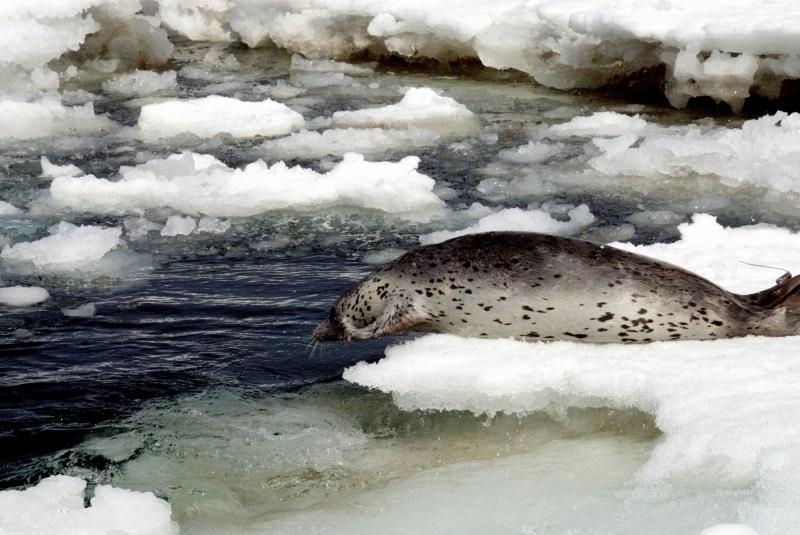 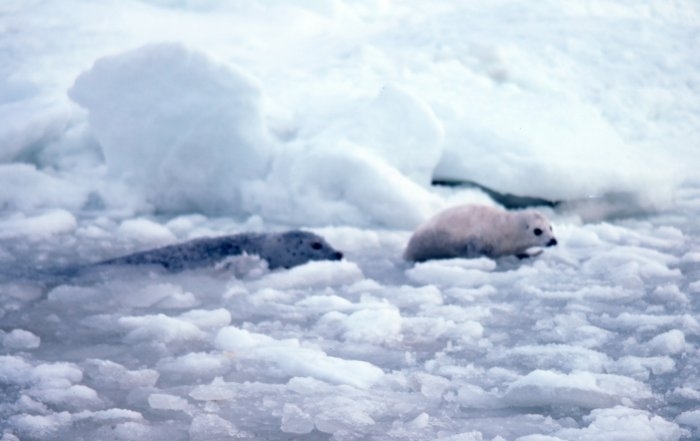 Breeding season takes place during spring when Spotted Seals are found at the southern edges of the pack ice near cracks between ice floes for access to air and the surface. 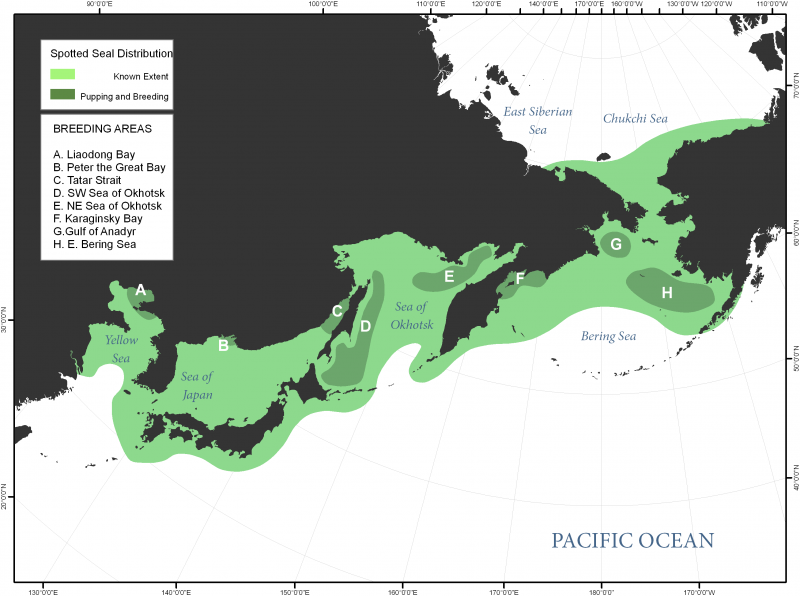 Known breeding areas are in the Bering Sea, Okhotsk Sea, Sea of Japan and Bohai Sea where some seals give birth on land. 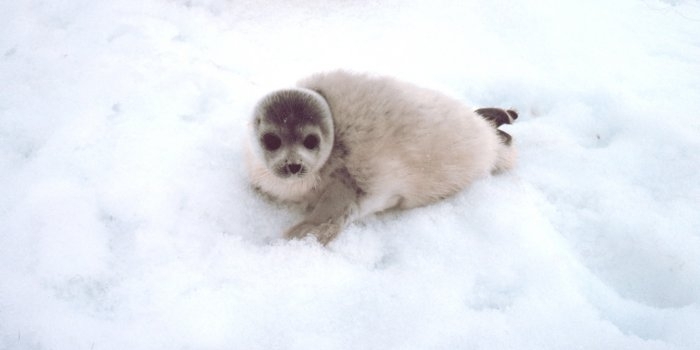 Females reach sexual maturity at 3-4 years of age, males at 4-5 years. 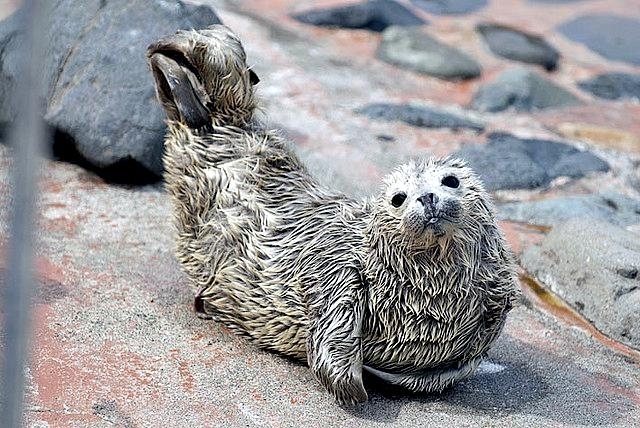 Newborn pups measure 75-90 centimeters in length and weigh 7-12 kilograms. 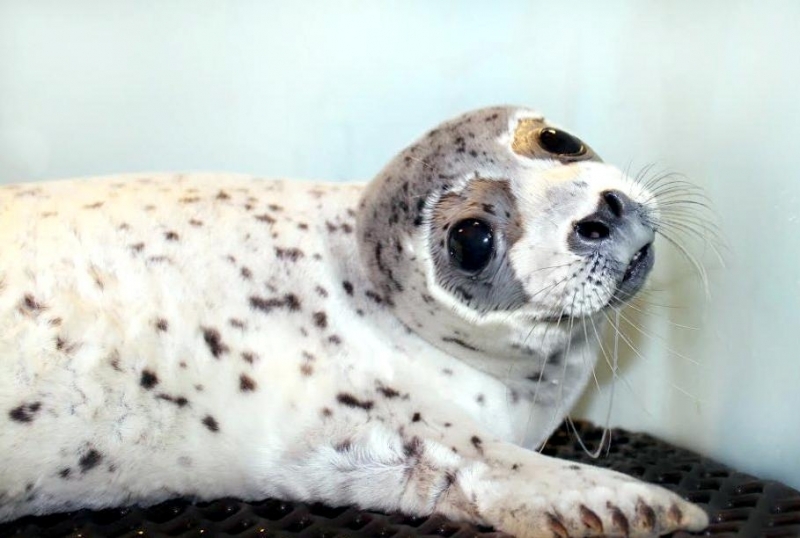 Pups are born February-May depending on the region, with a woolly white coat that is molted 4-6 weeks later around the same time the pup is weaned. 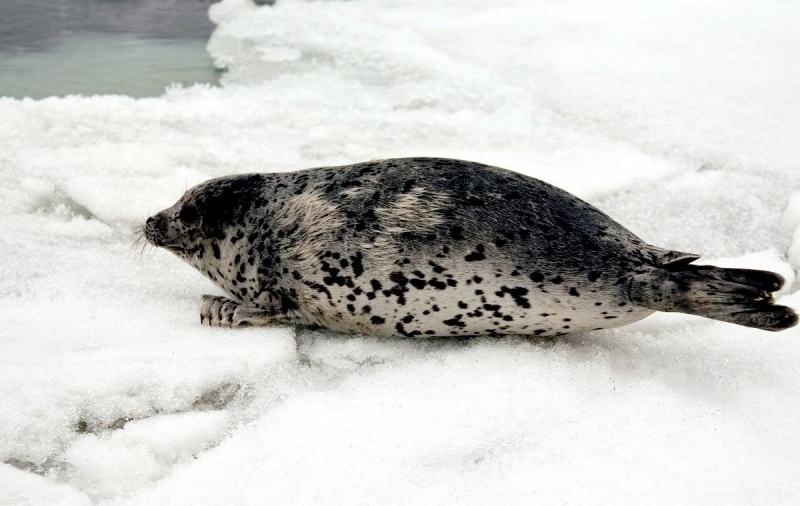 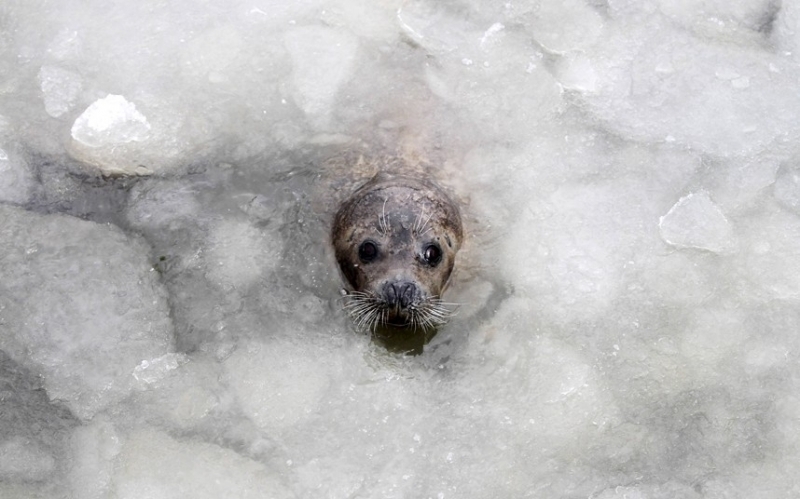 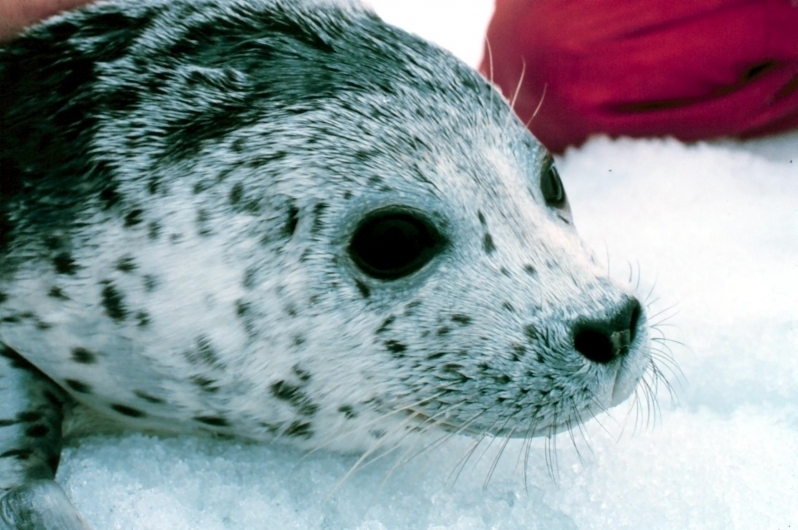 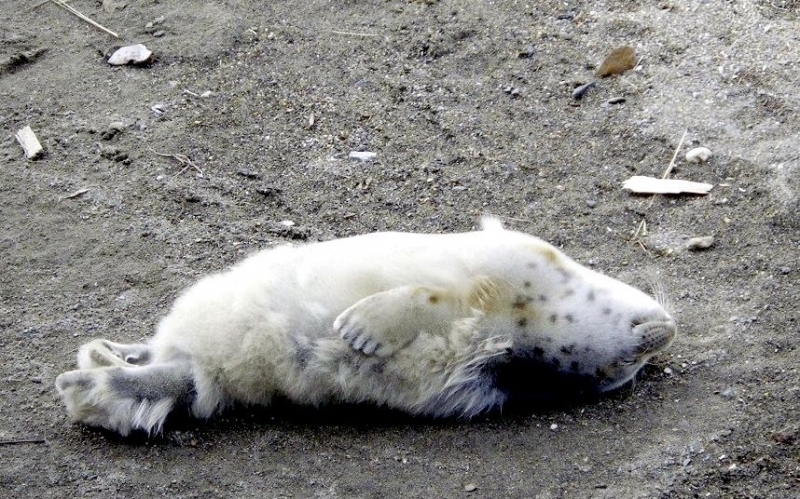 The Spotted Seal pup remains on the ice or on land for the first few weeks after it is weaned, then gradually learns to dive and feed diving up to 80 meters. 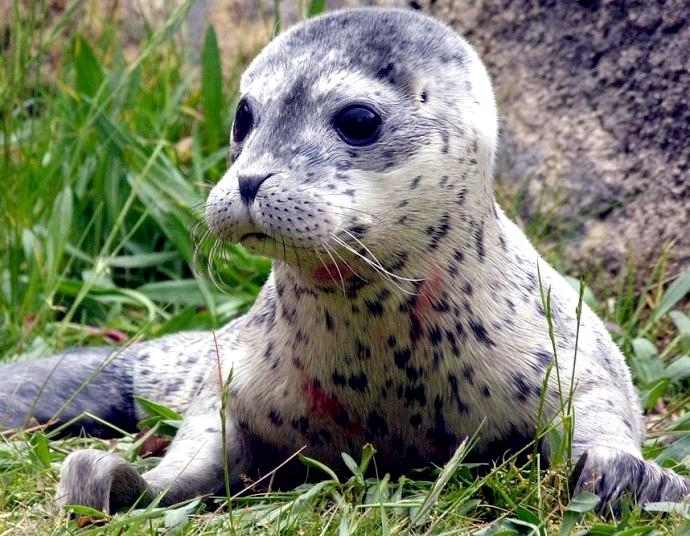 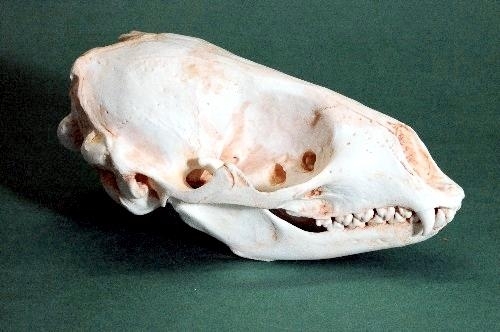 The pup mortality rate for the first year is around 45%. 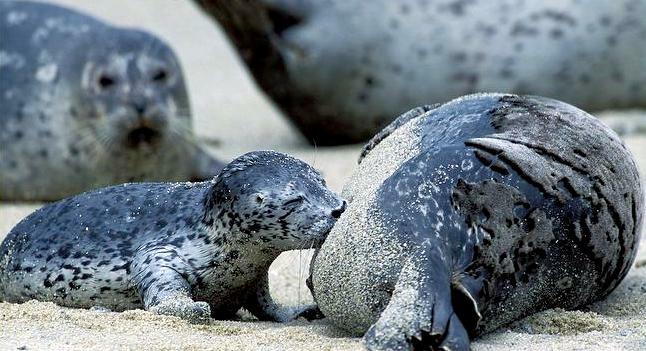 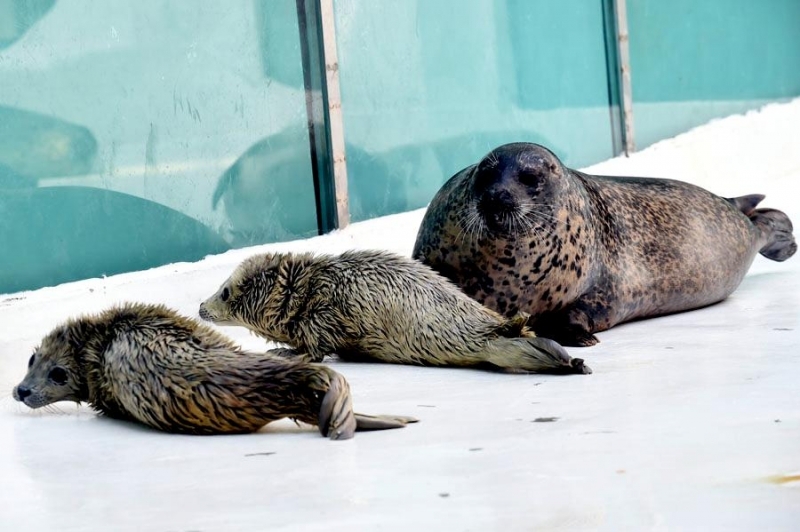 Families of 3 seals are often observed during breeding season consisting of a Spotted Seal female, her current mate and her pup likely sired with a different mate from the previous breeding season. 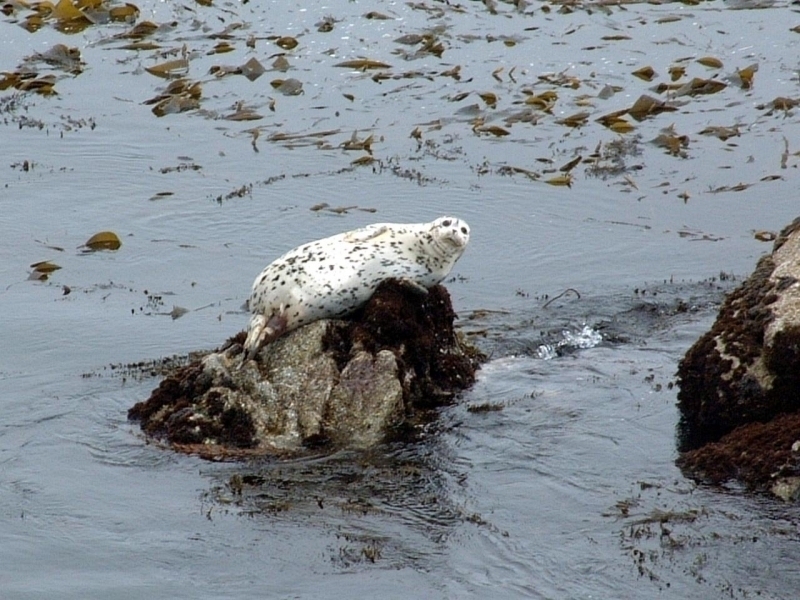 It is likely that the males join the females about 10 days before she gives birth, then the pair mates after her pup is born.